What can create a perfect Christmas mood more than an outstanding variety of holiday commercial ads? Watch 8 best Christmas adverts on Nexter.org from different companies promoting holidays for us! Roughly speaking, Apple released a heart-breaking ad about the sharing your talents and work on paper typed up on a Mac. See Matt Smith, M.I.A., Kristin Scott Thomas, Naomi Campbell, and Valerie Morris-Campbell is designer-label Christmas ad 2018. Though the ad was basically about Christmas performance and self-belief, the Advertising Standards Authority (ASA) has received 35 complaints about the advert on health and safety grounds, with people fearing that the advert may encourage children to play with plugs. One of the leading tech companies decided to remind us to support our loved ones in an emotional holiday ad. 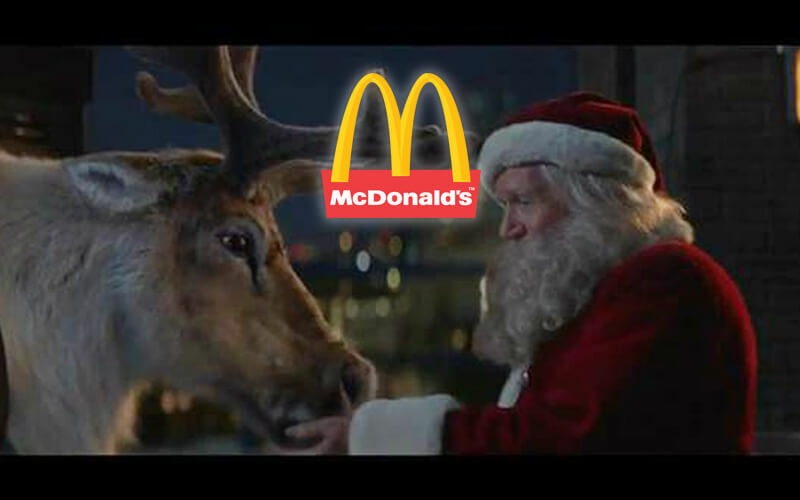 Making its Christmas ad extremely adorable, McDonald’s tells a story about sad reindeers that didn’t get any carrot treats from children. Fortunately, the fast food company has its covered. Christmas and New Year is a good time to show your close ones how much you appreciate them. The most touching ad of this year is about mom in space speaking with her family back on Earth, wishing to be home for Christmas and playing snow-like polystyrene foam from the packages. The journey of Kevin the Carrot continues in 2018 Aldi commercial! What can create a perfect Christmas mood more than an outstanding variety of holiday commercial ads? Watch 8 best Christmas videos on Nexter.org from different companies promoting holidays for us!